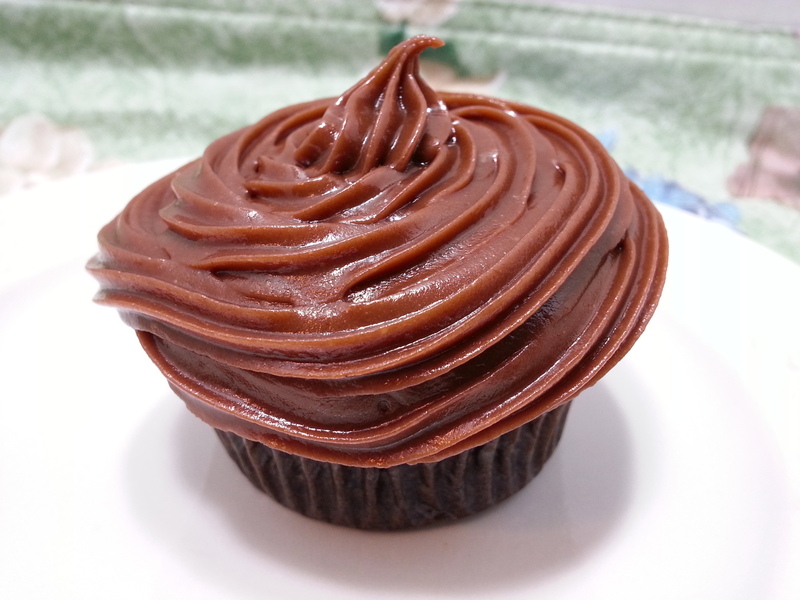 My wife decided to bake chocolate cupcakes and make chocolate frosting. She loves to bake, the funny part is she is not big on eating sweets. In a saucepan, heat the milk and stir in the cocoa until melted and smooth. Remove from the heat and allow to cool down. In a second bowl whisk together the flour, baking powder and salt. Set aside. In a third bowl, using a mixer, combine the butter and sugar until fluffy. Add the eggs and vanilla extract. Stir in the flour mixture until combine. Add and combine until smooth the cocoa mixture. Carefully add in the chocolate chips and stir them in. Line muffin pan with paper liners and fill each 3/4 with batter. Bake for 20 minutes. Then remove from the oven and allow to cool. In a double boiler melt the chocolate and butter together until smooth. Add the milk and stir. Slowly add in while stirring the sugar, allowing the heat to melt the sugar crystals. Keep stirring until smooth. Do not allow to boil or burn. Remove from heat and allow to cool. Place in piping bag, and using your favorite tip, decorate your cakes. Enjoy with icecream or a glass of milk. My wife loves to bake. She made a cake from fresh lemons and ginger. It is light and refreshing. 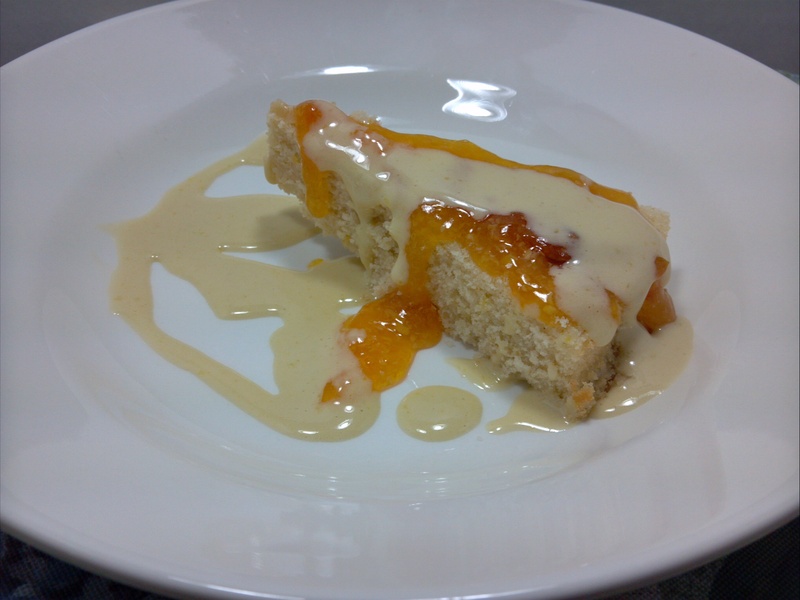 To top it, she took apricot preserves and shaved white chocolate into it. It was very good. To top it off, I made a Chambord sabayon. 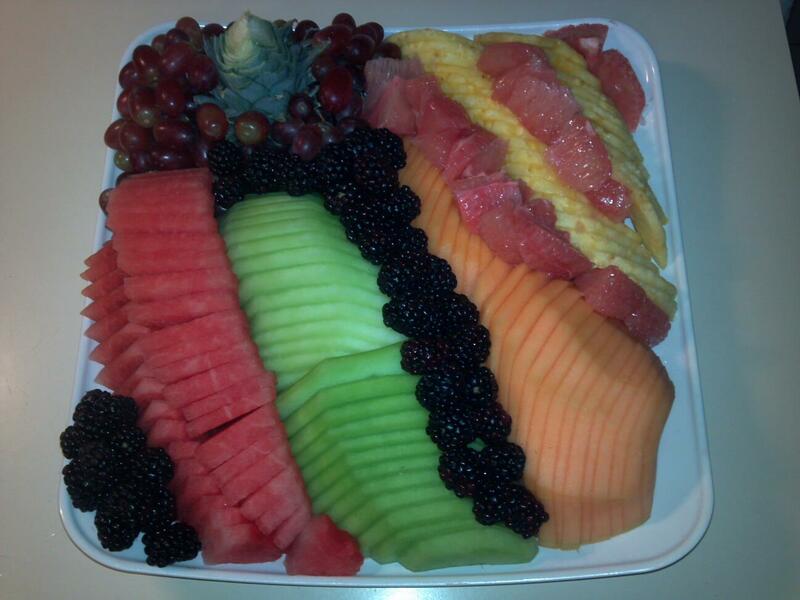 A fresh and simple fruit plate. I have always enjoyed fresh ingredients. And I thought that a great way to start my new blog would be to show a couple of the fruit plates I have done for my friends and family. Granted these plates look fancy, but for me they are fun and easy. You will notice with this plate the way the fruit is cut. 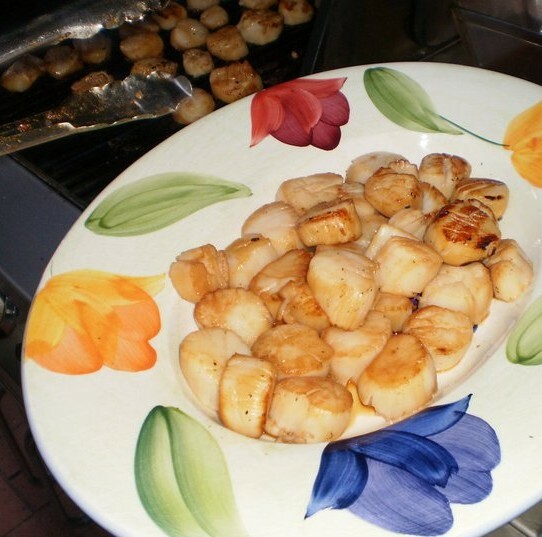 Simple knife skills can make a huge difference in presentation. And it is always important to have a sharp knife, a dull knife will just leave you open to a possible accident. In the top left corner I used the pineapple top as a garnish but cutting the leaves off and placing the grapes around it. 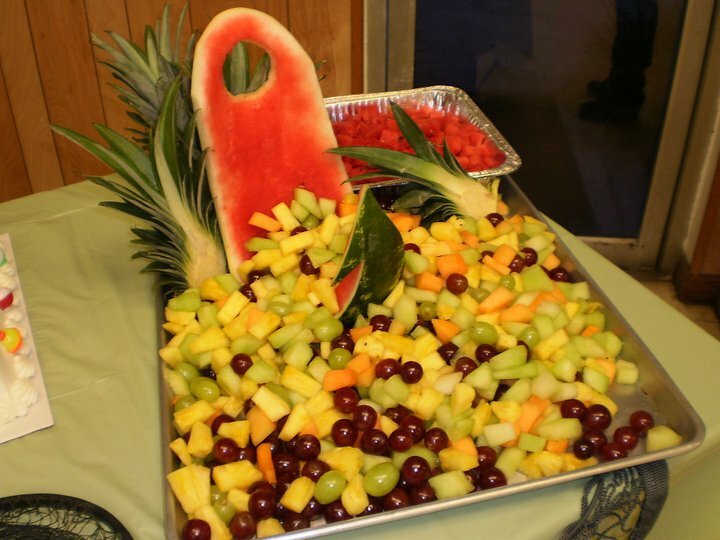 This fruit plate was for my wife to take to a gathering. You can also have fun with the fruit. In this photo from 2010, I cut the watermelon to look like a fish hook. I used the pineapple tops to accent the rest of the tray. It looked great with the fishing theme wedding shower my wife and I hosted for her brother and his fiance.